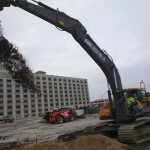 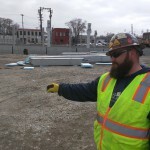 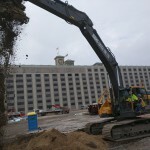 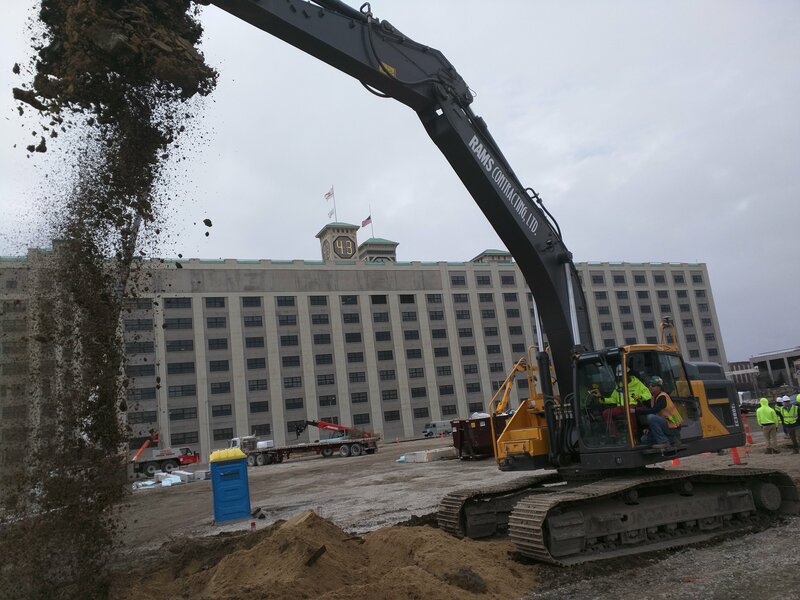 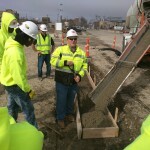 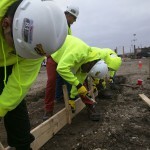 A team of juniors are working with Wangard Partners Inc. and Catalyst Construction in building the Freshwater Plaza in Walker’s Point, a short walk from Bradley Tech. 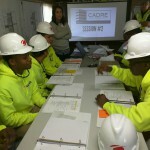 Every major step, from the initial design and understanding the architectural plans, to the project completion in 2017, the students are observing how a big construction project starts off with clearing the land and finishes with the occupancy of buildings, which includes a large grocery store. 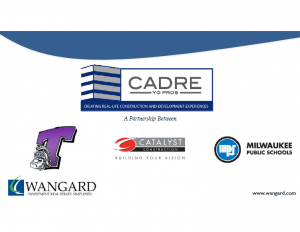 The CADRE Yo-Pro (“Young Professionals”) is managed by Wangard, Catalyst, WRTP Big Step, and MPS. 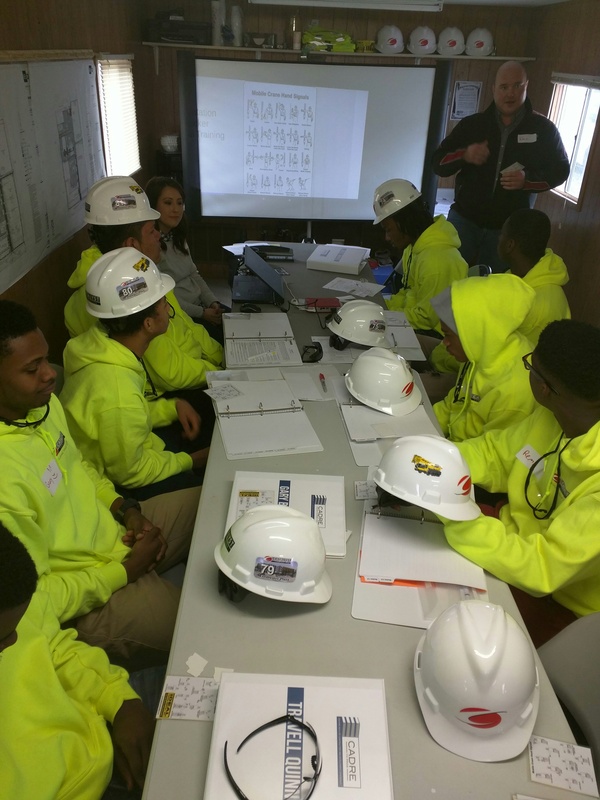 BT Students were selected after completing an application that included sharing personal interests and future goals that might include careers in construction, architecture, and business. 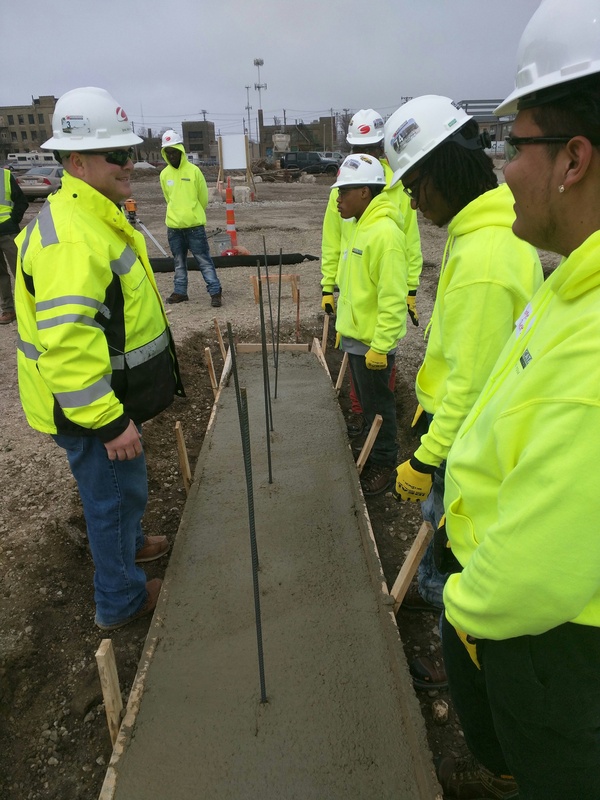 Each month until the students graduate in spring, 2017, a different aspect of construction, design, and planning will be presented and the students will participate with hands-on projects to explore the many different jobs that are required to build the plaza. 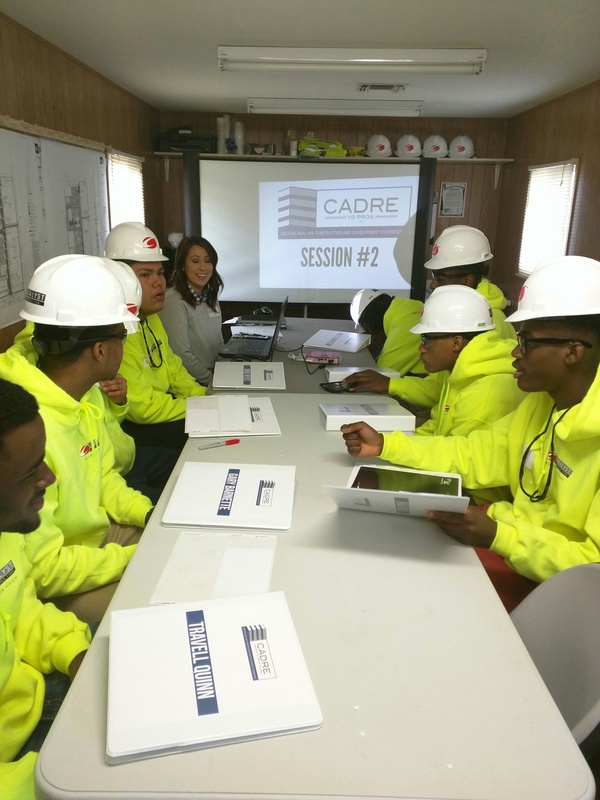 During the first meeting the students learned about site remediation in order to clean and prepare the site for construction. 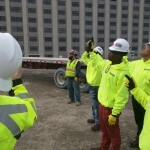 They worked with the architect to discuss design features. 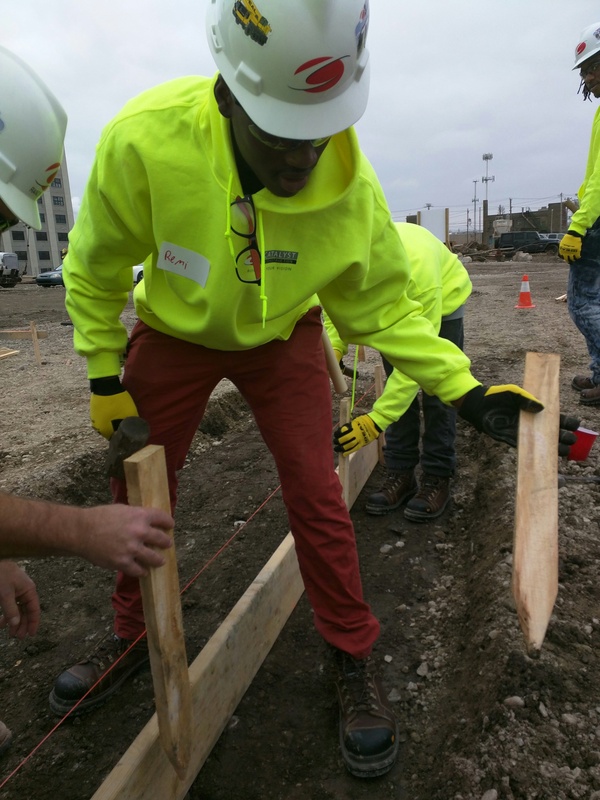 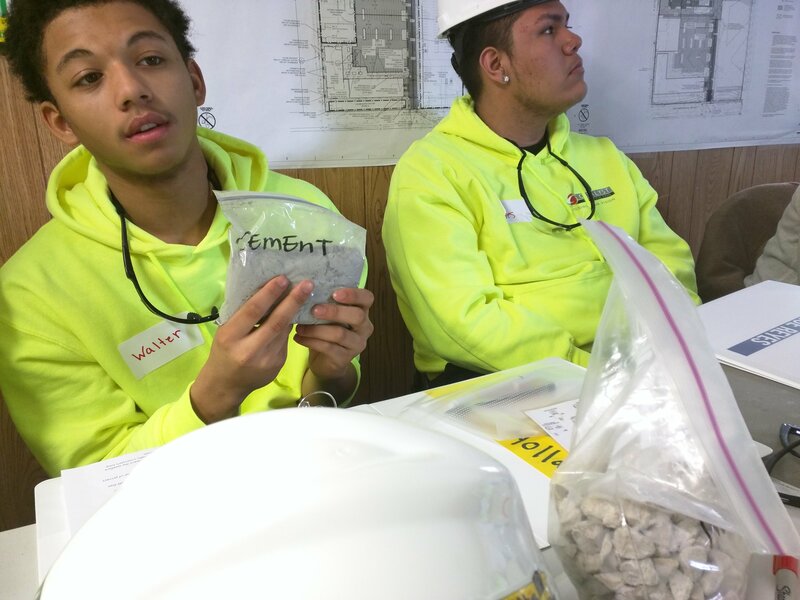 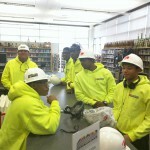 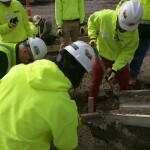 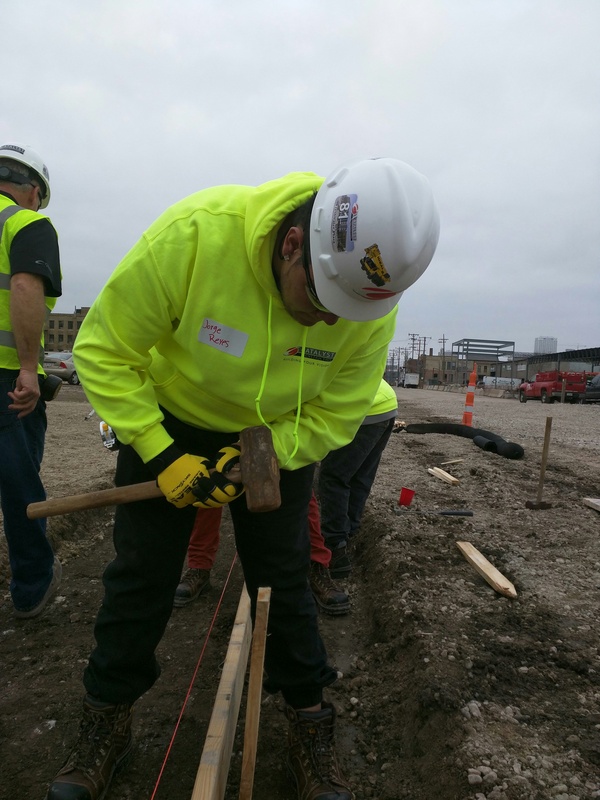 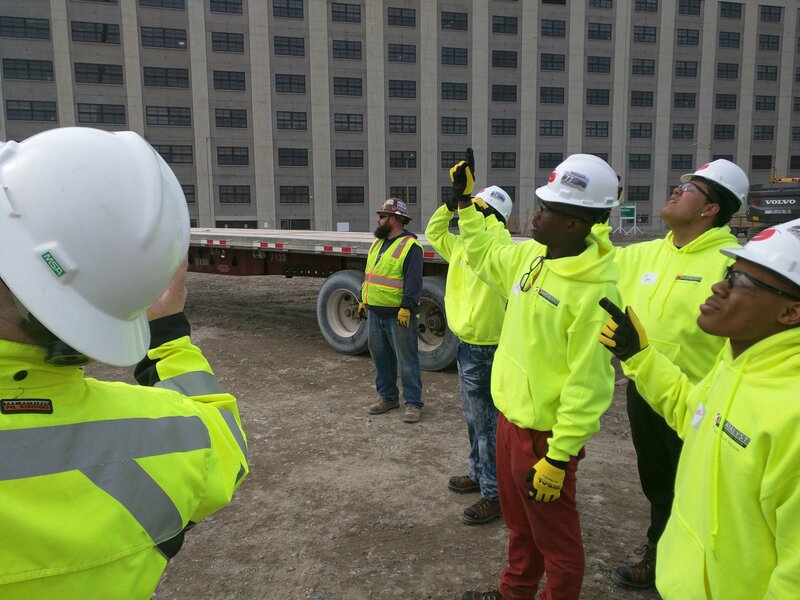 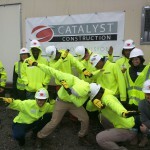 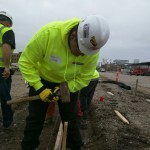 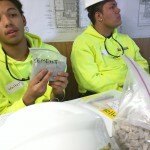 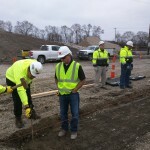 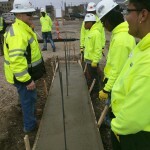 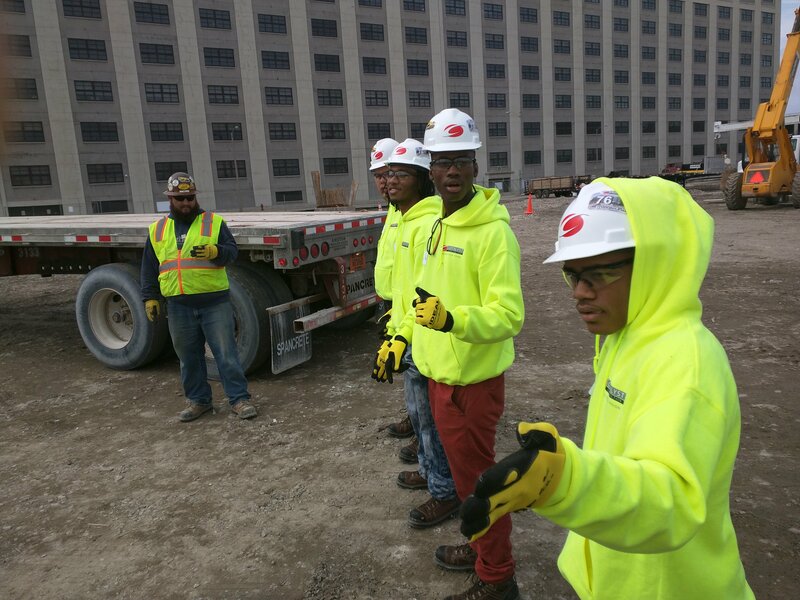 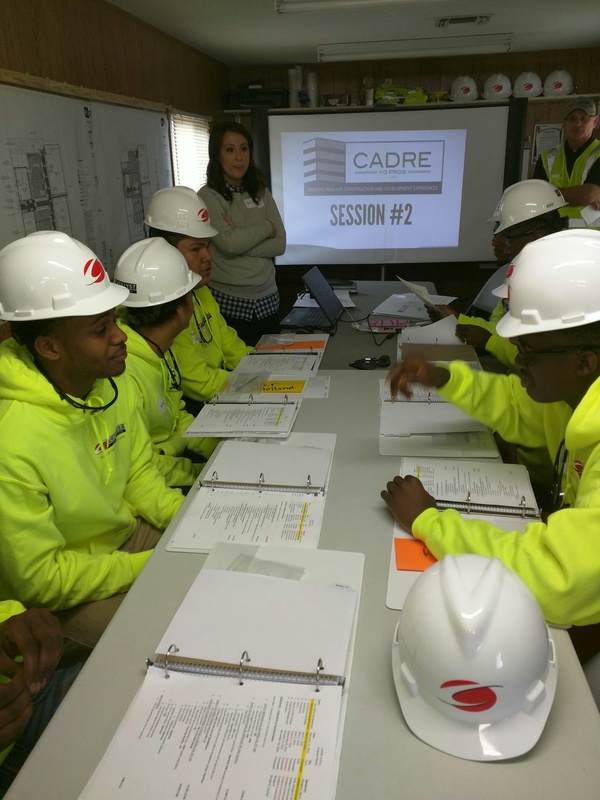 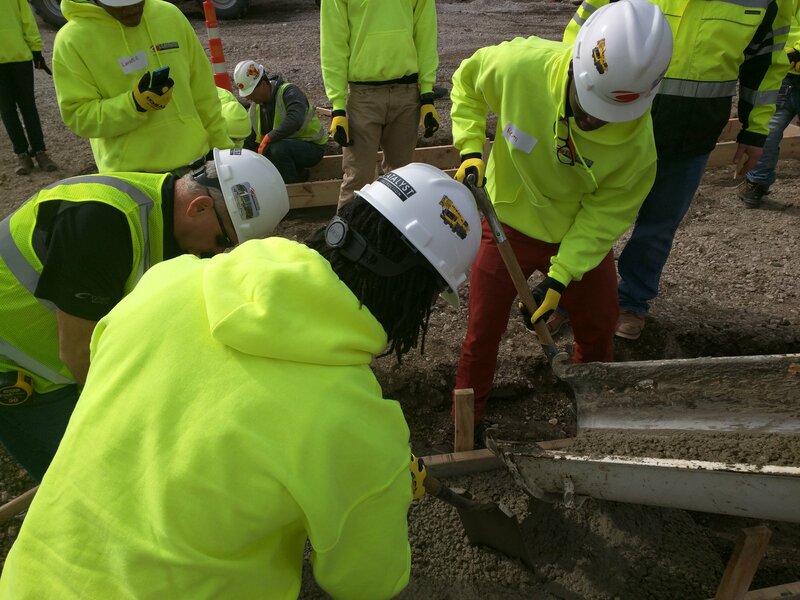 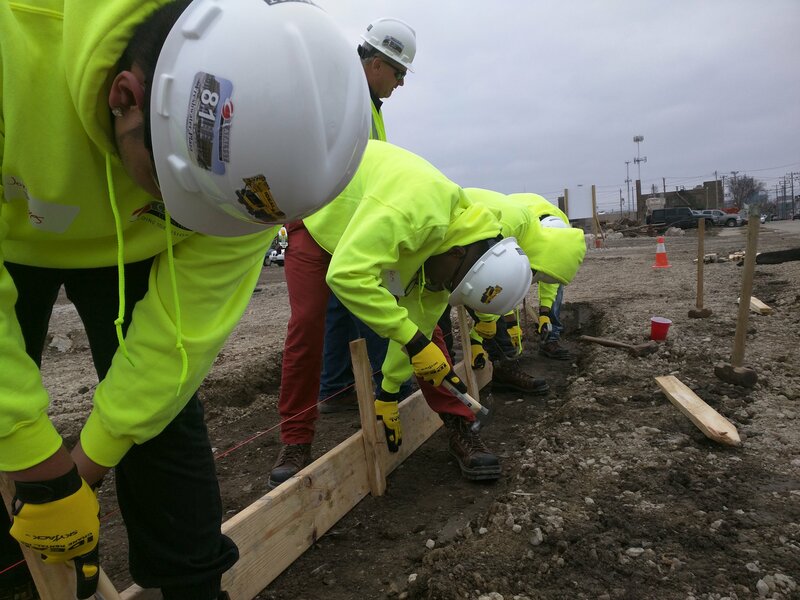 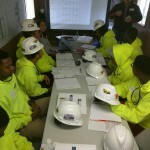 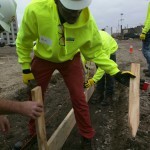 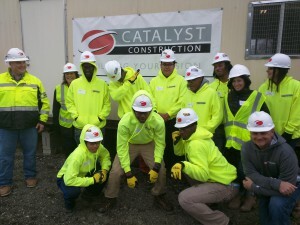 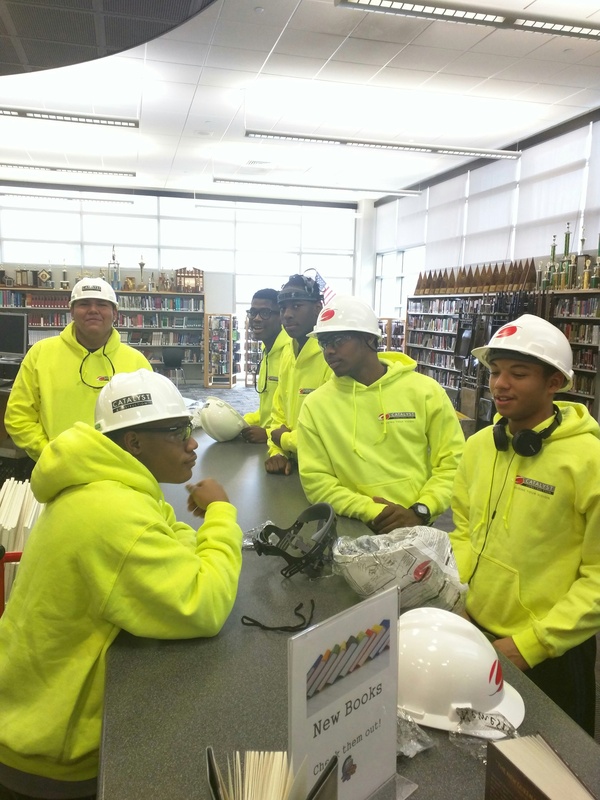 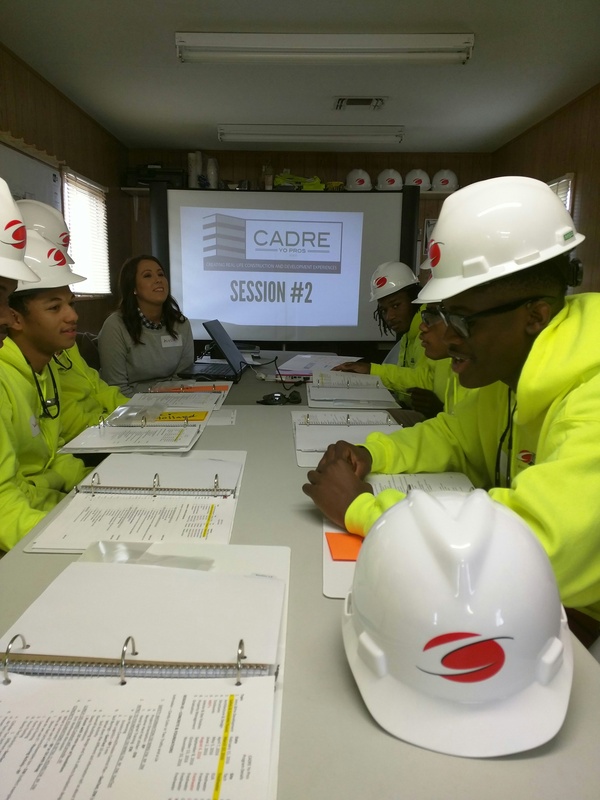 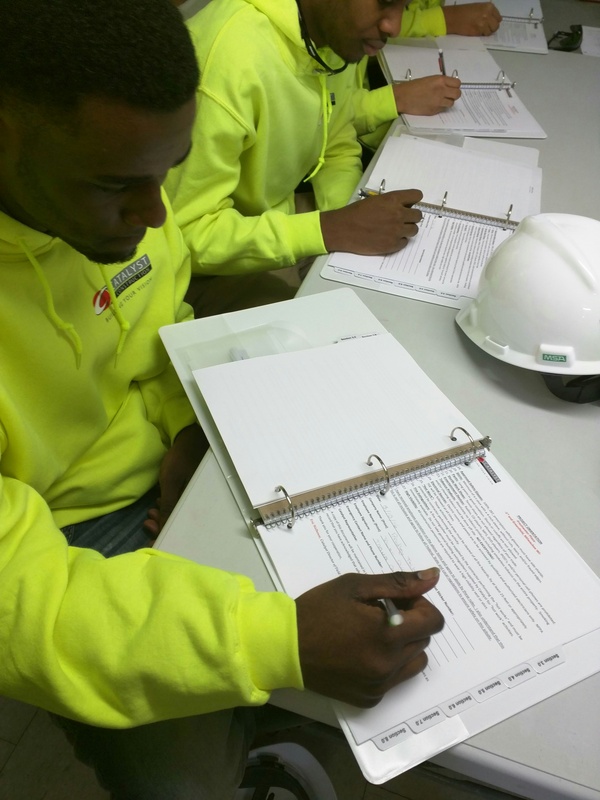 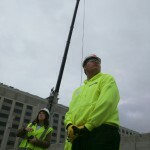 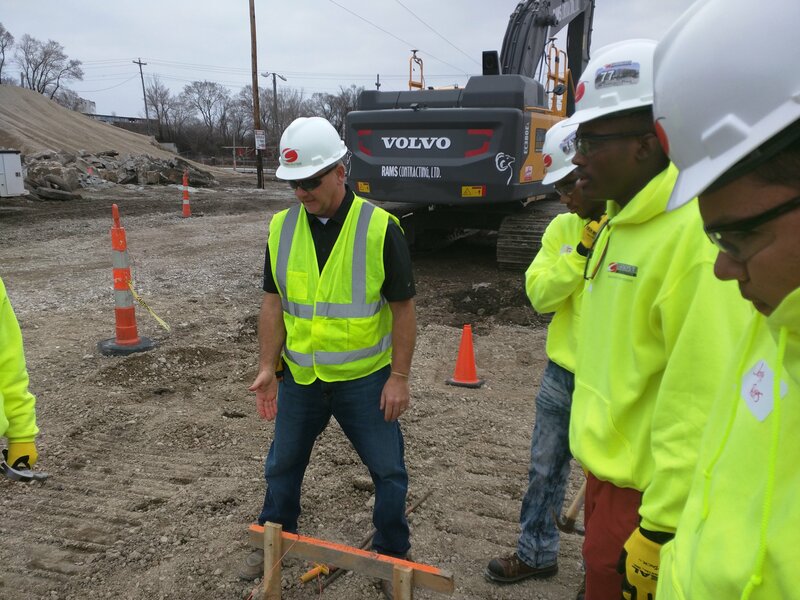 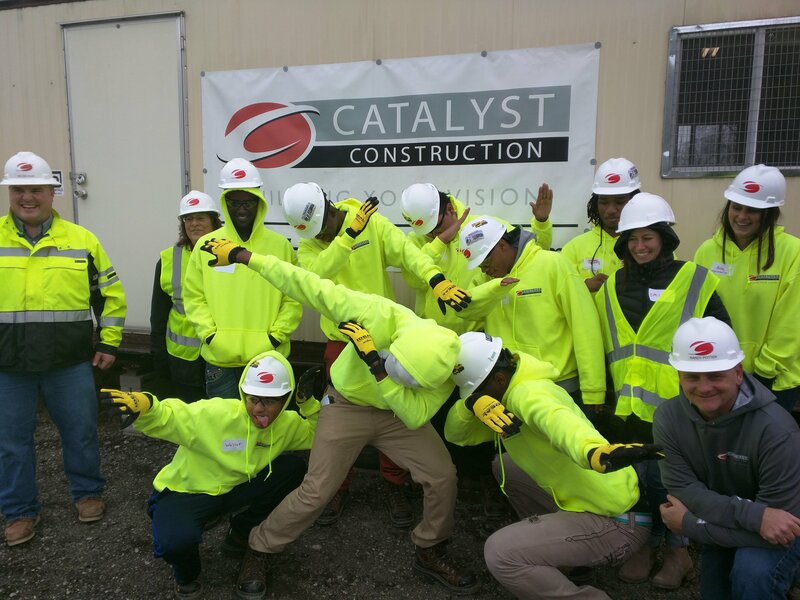 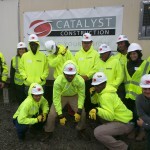 During the second meeting, the students were provided with construction clothing, that included high-visibility jackets, a hard hat and steel-toed shoes. 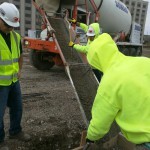 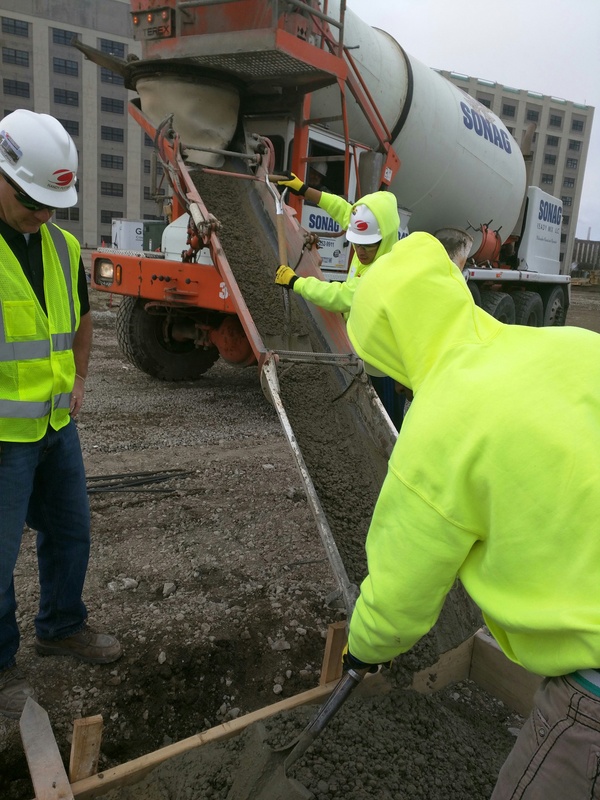 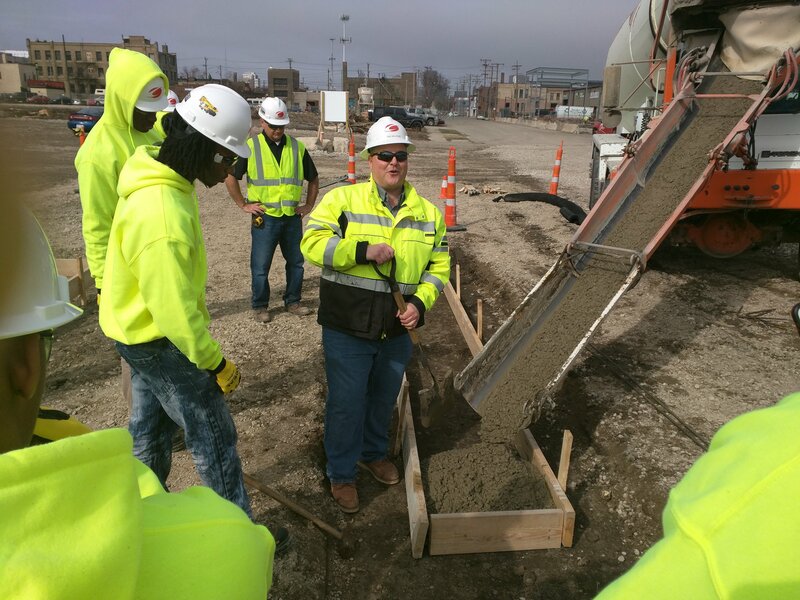 The cadre then walked to the site and learned about workplace safety, preparing a solid foundation, crane operations, and finished the day pouring concrete footings. 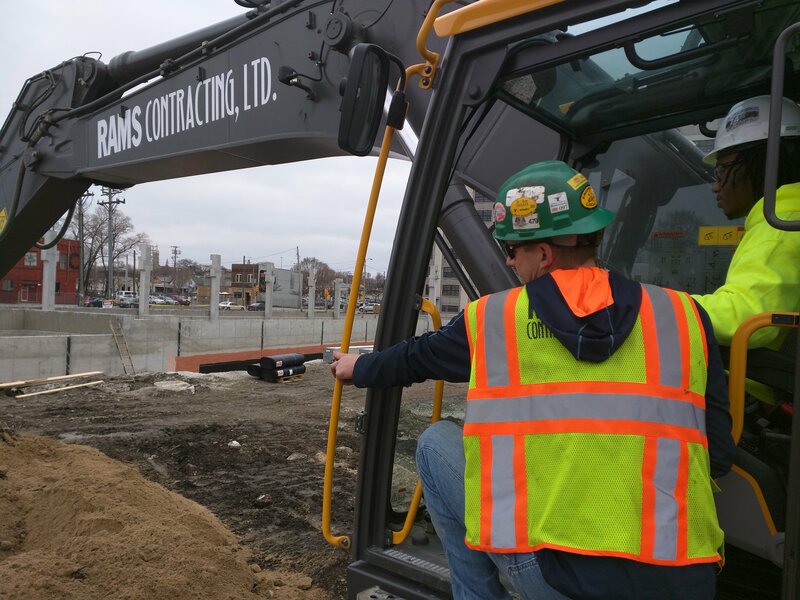 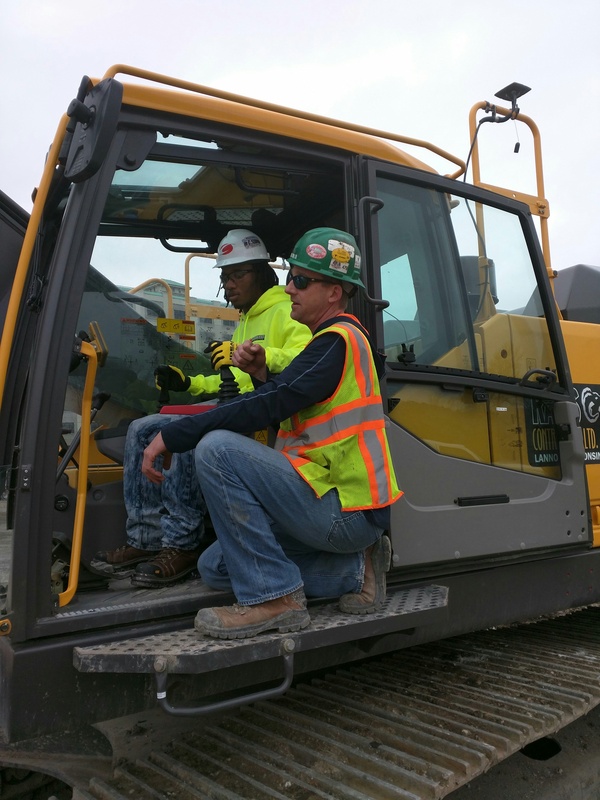 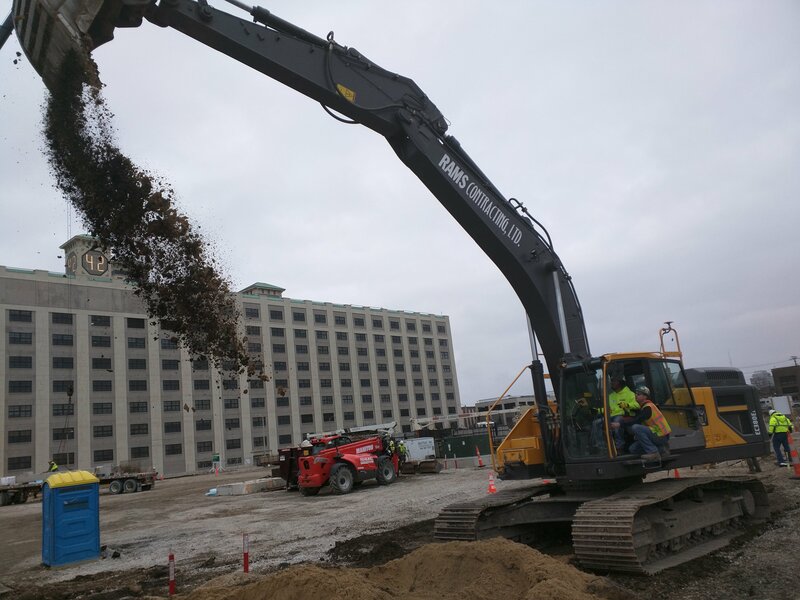 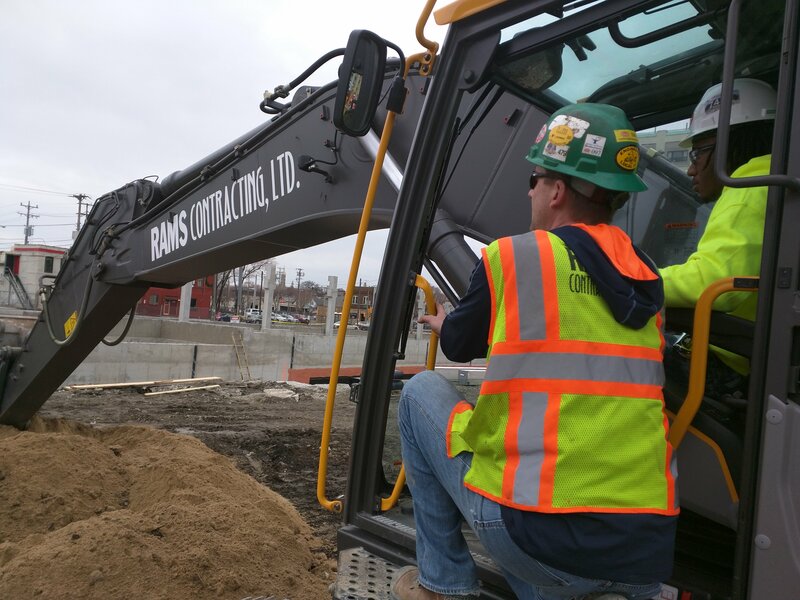 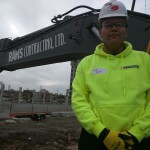 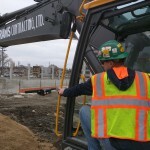 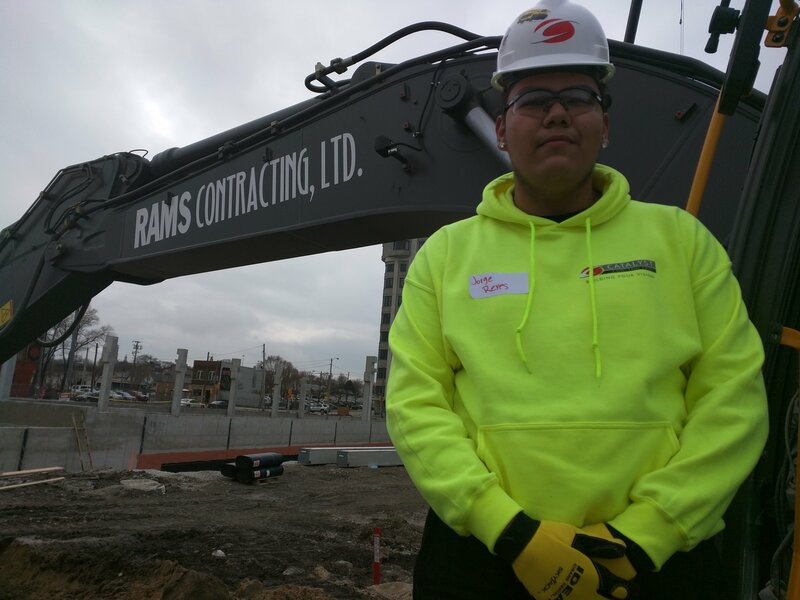 Students are constantly amazed with the opportunities to actually operate large construction equipment like an excavator, with training from the job-site experts, like Rams Constracting. 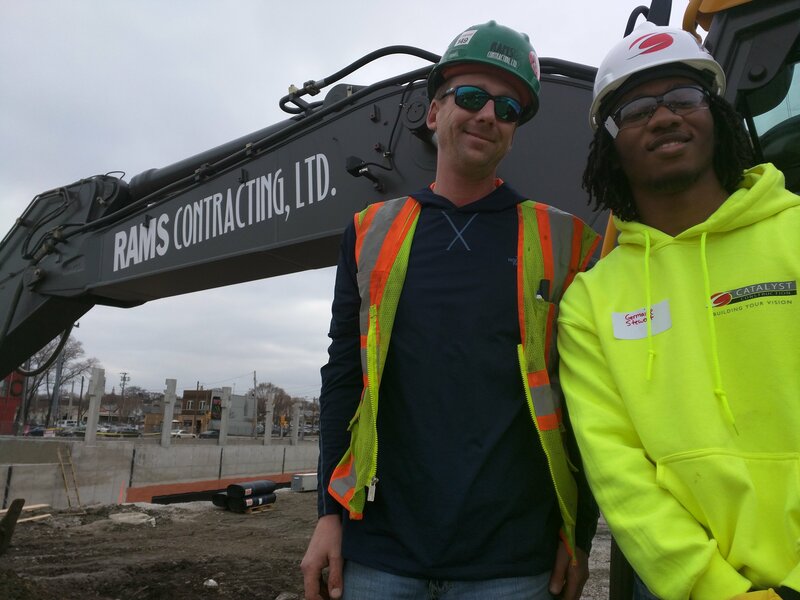 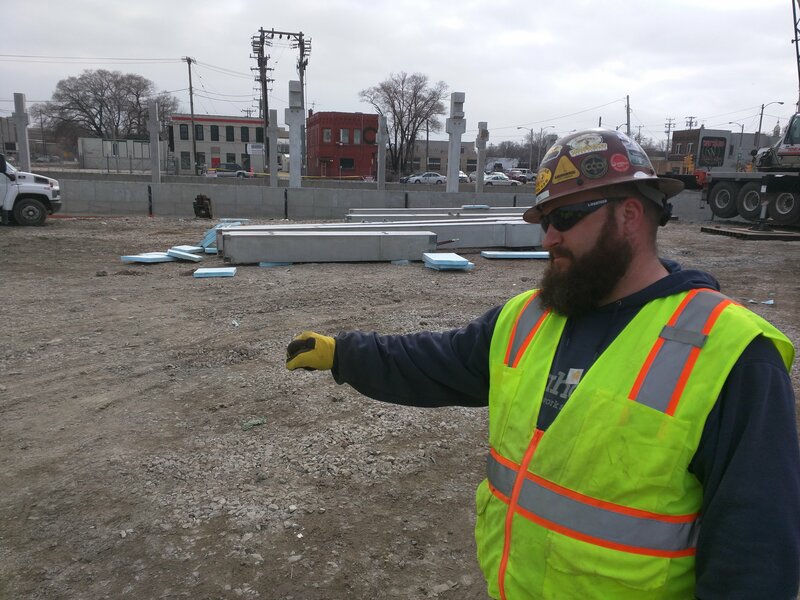 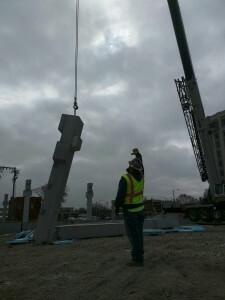 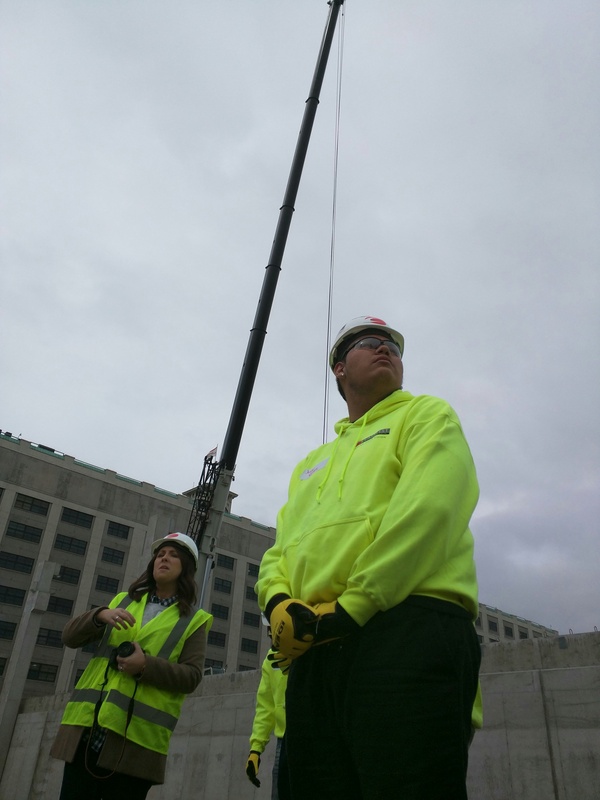 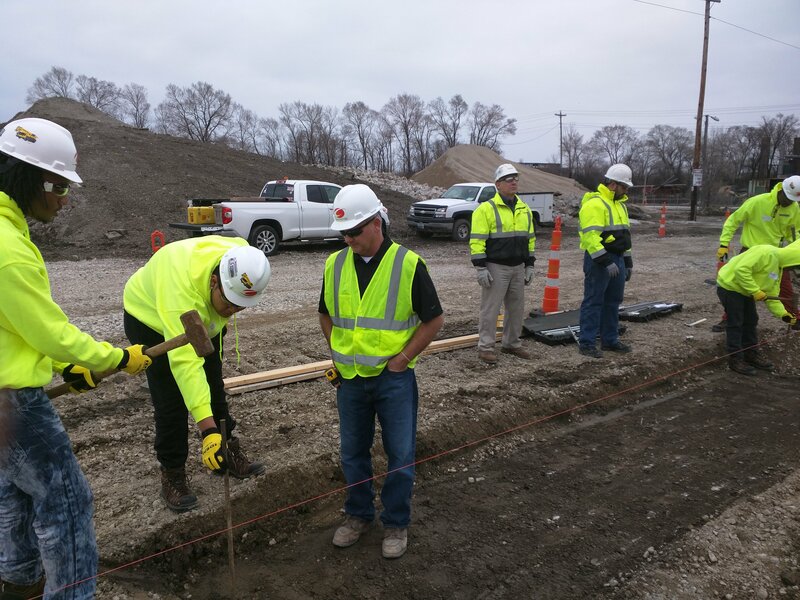 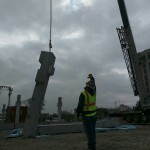 Check out the photos from the first job site visit, March 10, 2016.